DIGITAL FREQUENCY DETECTORS are one of the main measurement instruments in modern optical locking systems. It’s impossible to create universal frequency counter for any case, because different locking systems have individual properties (different types of modulation, shifting, etc.) affecting on counting precision. In the seminar we will discuss RF frequency detection in presence of regular frequency modulation as inner property of locking system. Practical optical frequency standard based in methane molecule and He-Ne laser (3,39 um) will be analyzed in detail. - PhD Thesis: Digital Frequency Detector for optical Methane Frequency Standard based on He-Ne laser. 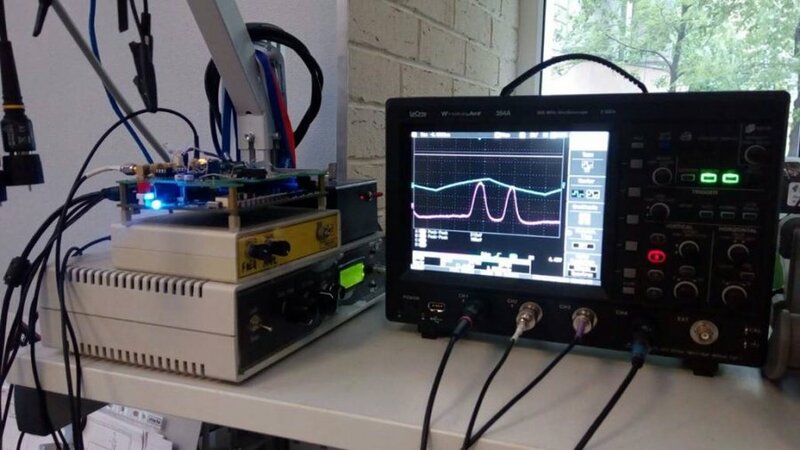 -Development of optical comb generator stabilization system for metrology needs. -Development of 16-channel interrogator for fiber-optic monitoring system. -Development of super-luminescent diode and fiber laser drivers with 1pm wavelength stability.